Lower Schooler Lasha conducts a science experiment! Lower Schooler Saba sang “Eight Days a Week” by The Beatles! BAY RIDGE – Some of the littlest Adelphians turned out to be Adelphi Academy of Brooklyn’s biggest stars! Lower Schoolers got the chance to shine on stage in front of the entire Adelphi community as part of a very special Lower School Talent Show held inside the John Lockwood Auditorium Theatre on Wednesday, February 27th, 2019! Proud parents, teachers and classmates clapped along as students performed everything from Frozen’s “Do You Want to Build a Snowman” to “Eight Days a Week” by The Beatles. There was also a mini piano recital that left the audience quite impressed, as well as a rocking tribute to Led Zeppelin on drums. Other students showcased their athletic prowess through martial arts, boxing, wrestling and gymnastics demonstrations that had the crowd energized. Another taught everyone how to draw the perfect rainbow using colorful crayons. There was even a science demonstration that featured an erupting volcano! 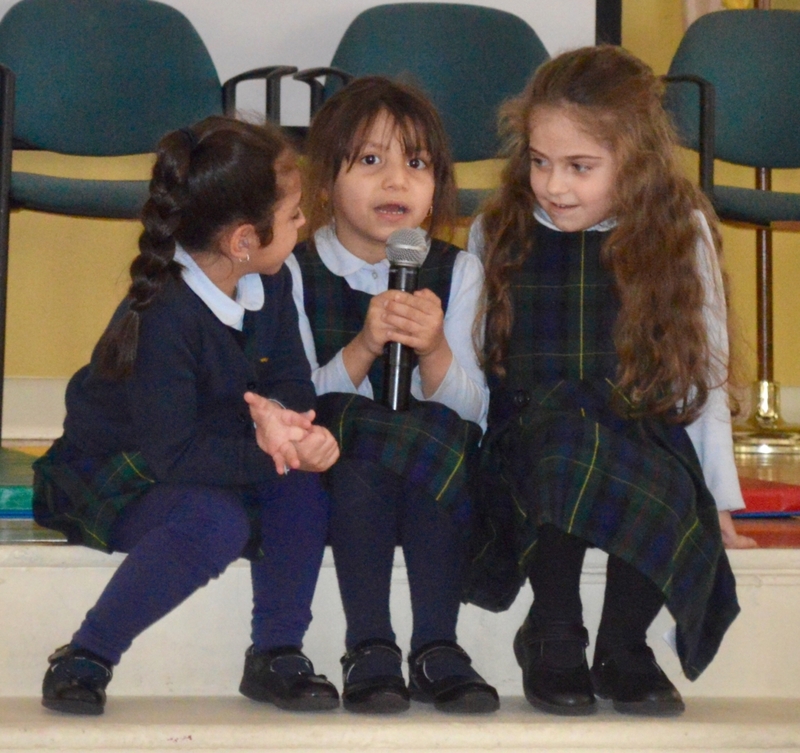 There was plenty of singing at the Lower School Talent Show!